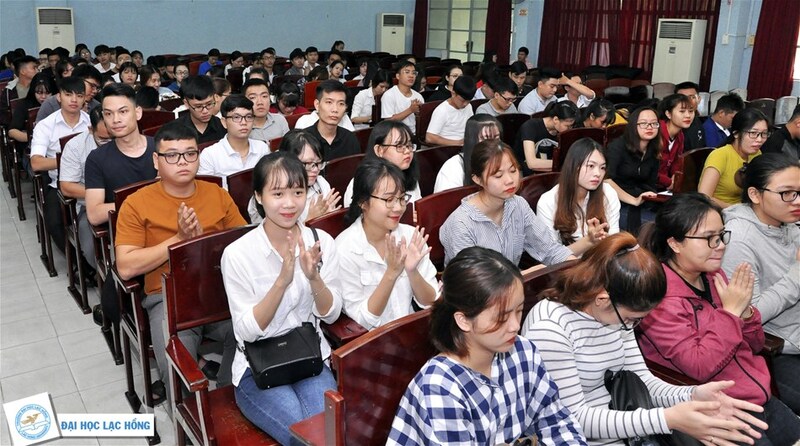 Recently, LHU in cooperation with Taigerich Co., Ltd led Mr. Art TestWang - Director orgniazed a signing ceremony and job interview at campus 1 - LHU. Accordingly, Taigerich Co., Ltd would recruit and train final-year students according to their programs. After graduation, these students would be employed at partners of Taigerich Company. At the event, there were five Taiwaneses companies to participate in job interviews. Directly interviewing students were Ms. Julie - Vice Director of Taigerich Co. Ltd, Mr. Zhou Ben Ben - Director of M&Y Logistics Company Limited, Mr. Teng Ya Ping - Vice Director of Shang Ha Textile Co. Ltd, Ms. Li Yun - General Director of DFM Automotive Brand and Mr. Wei Sheng Cheng - General Director of Tan Phong Textile Co. Ltd. The needs of businesses are human resources in economic sector, thereby attracting the participation of more than 300 students majored in Accounting, Business Administration and Foreign Trade. "Since December 2017, we have served over 500 clients. They are excellent companies with excellent industries and rapid development in the fields of electricity, food, petroleum, chemicals, real estate, automobile, metals, trade. Our partners are leading enterprises in key industries including state-owned enterprises, large local SOEs, Chinese and foreign joint ventures, private enprises...We have collaborated with more than 60 universities and provided career plans, giving advice before finding jobs for graduates, proposing suitable positions. 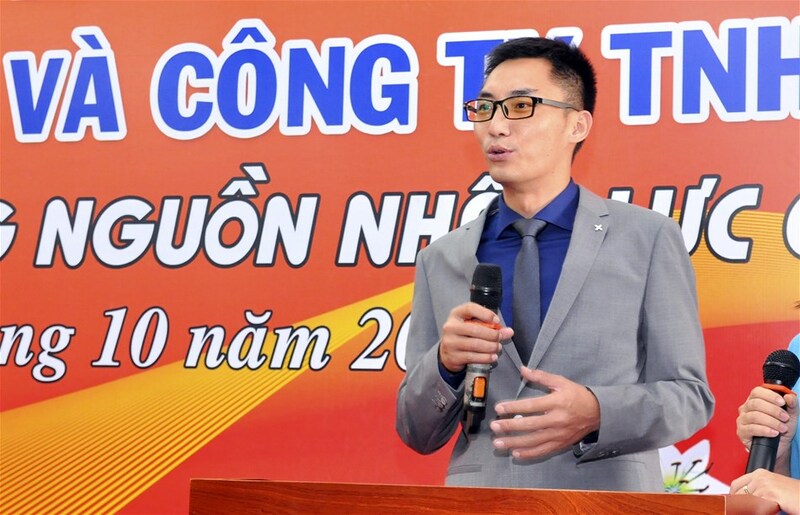 The cooperation with you is a great opportunity for us, as we believe in your training quality as well as our performances, promising to bring tremendous growth opportunities for the both sides" emphasized Mr. Art TestWang - Director of Taigerich Co. Ltd.
To fulfill the commitment of 100% students supported in seeking jobs after graduation, LHU has increasingly expanded cooperation with businesses inside and outside the province in training and supplying human resources. Many businesses have early recruited students of LHU to train according to their own programs. Reportedly, Taige Rich is a reputable company in supplying human resource for businesses belonging to Association of Taiwan. It also organizes corporate culture training, develops collaborative training between schools and enterprises, guides students to work. Therefore, the Agreement between LHU and Taige Rich Co., Ltd is really very meaningful with both units. 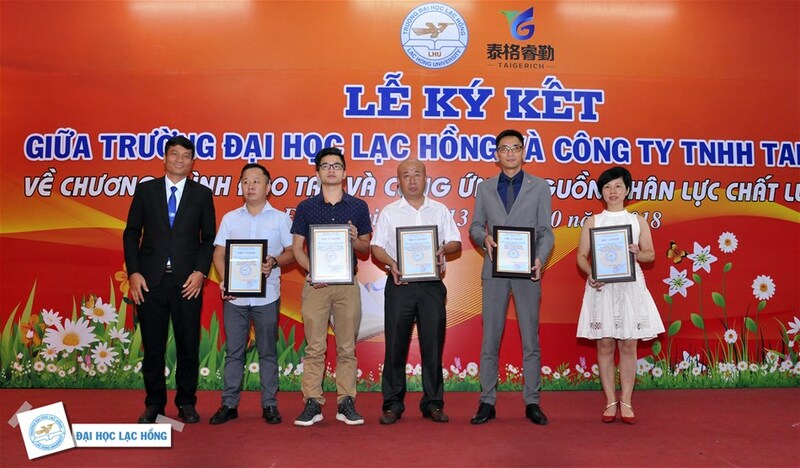 It extends the "link" between LHU and Taiwanese businesses, opening up many career opportunities for students, affirming the commitment "Lac Hong students have jobs after graduation".